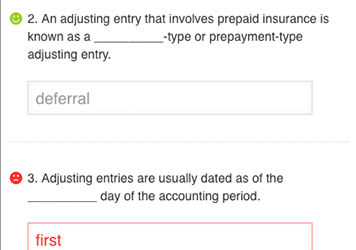 AccountingCoach PRO’s 57 Quick Tests contain more than 1,800 total questions to challenge you. Significantly improve your understanding of core concepts like Financial Accounting, Bookkeeping, Financial Ratios, Financial Statements, Managerial Accounting, and more. 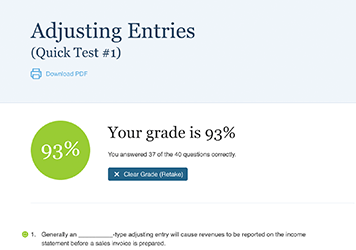 Your test scores are graded instantly so you can see what questions you missed, and know exactly what areas to study more. All Quick Tests are also available in PDF format so you can print them out and take the tests by hand.